Dark rings under your eyes can make you look tired, sick and just not pretty. There are lot of beauty products out there to hide puffy eyes or bags under your eyes, but I find that they end up making something else worse, like tightening the skin around your eyes, which ends up hurting, or making your eyes sticky, which makes makeup clump. So I looked into some natural ways for depuffing and ridding your eyes of dark circles. 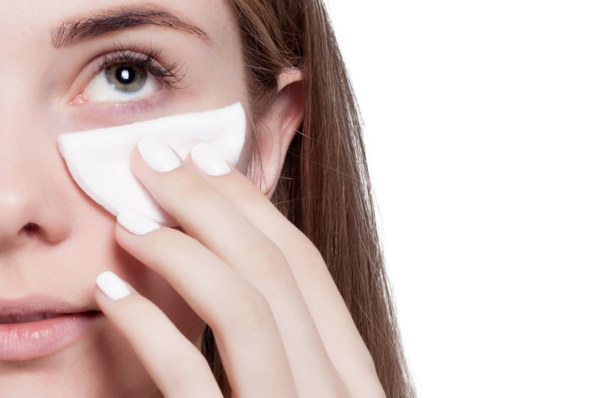 If you are on a budget, try the quick and easy tips below to get rid of those dark, puffy bags under your eyes. One of them is sure to work for you. Put a raw potato in the refrigerator for about 20 minutes. Take it out and cut in two. Put each half under the puffy dark area under your eyes for 15-20 minutes. The circles will decrease and you will be able to notice a difference. Vitamin E oil is good for eye health because it is anti-inflammatory and also helps to keep skin around your eyes supple. Mix chilled water with about 10 drops of vitamin E oil. Take two cotton pads and dip them into this mixture. Then place a pad on each eye. This solution helps with the swelling around the eyes, so make sure you leave it on for a full 20 minutes. It is especially good if your under-eye-bags are due to allergies. Get two cucumber slices from the freezer. Place the slices on your eyes for 15-20 minutes. You can even sleep with them overnight. The cucumber helps with anti-inflammatory issues, so the puffiness of the circles flatten out. The longer you can leave the cucumber on your eyes, the better. Get any type tea bags (green tea, chamomile, black, etc.) and steep two for a few minutes. When you are done, chill the tea bags for about 10 minutes. 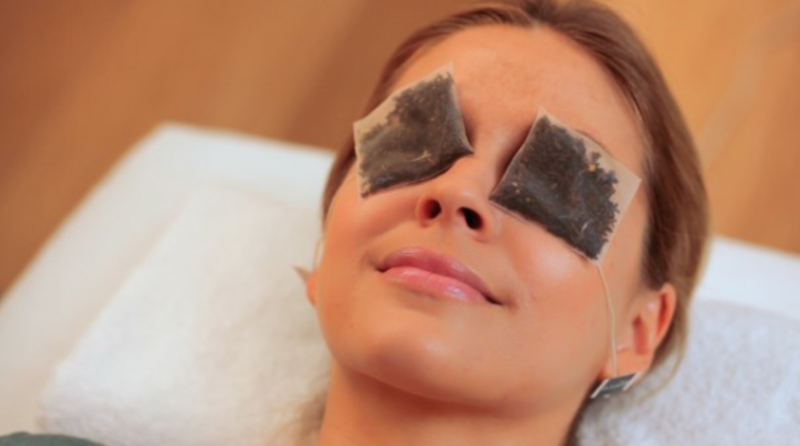 When they are chilled, apply one over each eye and leave the tea bags on for 15 minutes. The tea bags will help stimulate blood flow so that the darkness around your eyes will lessen as the blood flows better in the arteries around your eyes. 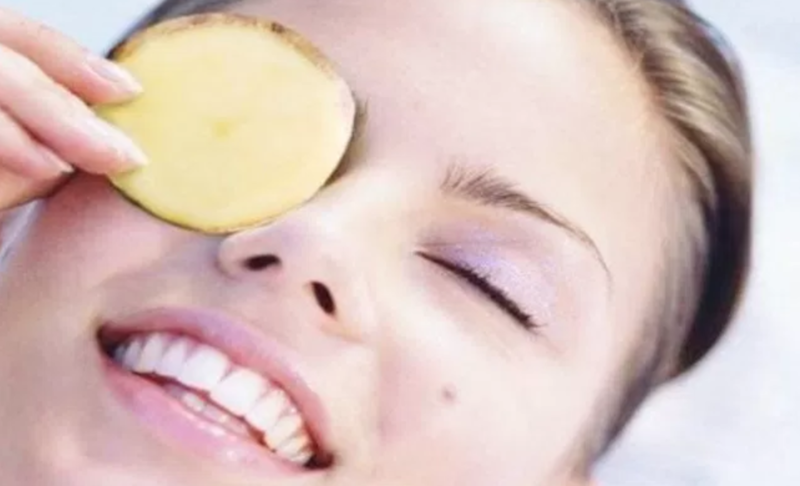 If you want a tight look around your eyes that is still smooth, beat some egg whites and apply them over your eye with a paint brush or makeup brush. Leave it on your eyes for 15 minutes then wash off your face with cold water. The area around your eyes will be tight and shiny making your under-eye-puffiness less visible and hiding the darkness by the shiny hues around your eyes.